Sculpture made with 3000 Human Teeth. Size 30cmx40cm. Saint Apolonia, the patron saint of dentists, was tortured by being pulled her teeth out when she did not deny her catholic faith in Egypt. When the image of this saint arrived in Cajamarca it was placed on top of a hill to eradicate idolatry. Later, although was built a chapel honoring Virgin Fatima on top of the former image the name of the hill remained the same. 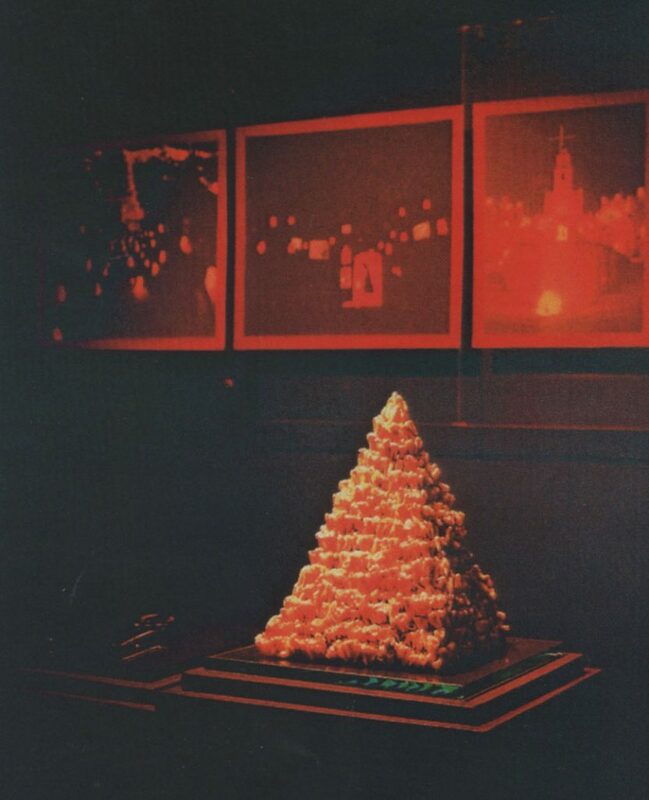 My work ‘Saint Apolonia Teeth’ tries to restore this space and Saint Apolonia through a pyramid made of 3000 human teeth and to remind people this religious character that has not existed for more than 3000 years in the history of Cajamarca.